& Saturday/Sunday: 8:30 a.m. - 5:15 p.m.
· Payment in Full: 10% discount off $3100 tuition is available to all students if payment is made in full 2 weeks prior to the start of classes, for a total tuition of $2790 (includes a $575 deposit and a $25 application fee). · Payment Plan: $600 is due by the first class (includes a $575 deposit and a $25 application fee), with the balance to be paid in 6 additional installments in the amount of $357.14, and a final payment of $356.16, with the first additional installment due by the first day of the second session of classes. Subsequent payments must be paid every month and in full by the start of the 8th session (August 18, 2016). Separate payment plan addendum required. · Elizabeth Blue Scholarship: Email us for further information on the Elizabeth Blue Scholarship. 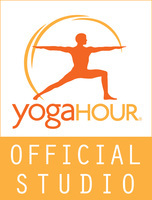 One scholarship is awarded per Yogahour Teacher Training. Applications are due by August 20th, 2018. Brigette Finley, E-RYT 500 Brigette (Niedringhaus) Finley is the Director of Yogahour, the founder of Prenatal Yogahour and holds her E-RYT® 500 with Yoga Alliance. She co-founded Southtown Yoga in St. Louis, MO in 2007. As a householder, she is passionate about incorporating practice into her daily life as a mama. Brigette currently lives in Tucson, AZ with her husband and two children. She teaches trainings locally and nationally.